Fred & Friends, of Cumberland, R.I., is recalling about 200,000 Fred & Friends Chill Baby Artiste, Volume and Panic pacifiers in the U.S. and Canada. The beard on the Artiste and the knob on the Volume pacifiers can detach, posing a choking hazard to young children. In addition, the ventilation holes on the Volume and Panic pacifier guards are too small. The company has received one report of the knob on the Volume pacifier detaching. No injuries have been reported. 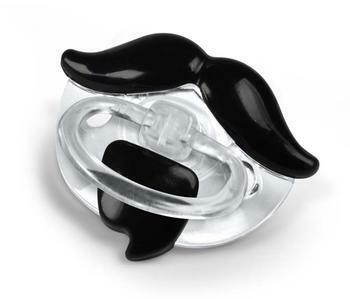 This recall involves three styles of Fred & Friends Chill Baby pacifiers, including the Artiste with a black plastic beard and mustache, Volume with a black volume control knob and Panic with a red panic button. The pacifier’s name and UPC are printed on the packaging. The Artiste’s UPC is 728987021282, the Volume style’s UPC is 728987020599 and the Panic style’s UPC is 728987020605. The pacifiers are plastic and silicone rubber and measure about 2 inches wide and 1½ inches tall. The pacifiers, manufactured in China, were sold at department stores, gift, drug, toy, baby product, grocery and home decorating stores, and hospital, museum gift shops nationwide and various websites from April 2013, through December 2013, for about $10. Consumers may contact Fred & Friends toll-free at (855) 346-6372 from 8 a.m. to 5 p.m. ET Monday through Friday, or by email at pacifiersconsumer@fredandfriends.com. Gano Excel USA of Irwindale, Calif., is recalling all C’Real Spirulina, an instant cereal that is sold by the box with 15 packets of instant cereal per box. Consumers in possession of C’Real Spirulina who are allergic to wheat and/or soy should not eat the product and should return the product to the place of purchase. The company will be sending recall notices to all its direct customers. For further information, consumers may call Matthew Nguyen at (626) 480-7550. 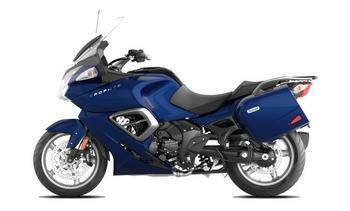 Triumph Motorcycles America is recalling 2,800 model year 2012-2014 Tiger Explorer ABS A1, 2013-2014 Tiger Explorer Spoke ABS XC A1, and Trophy SE A1 motorcycles manufactured November 17, 2011, through December 16, 2013. In the affected motorcycles, the electronic control unit (ECU) hardware and software may improperly detect the motorcycle’s throttle position resulting in the motorcycle shutting down. An unexpected shutdown increases the risk of a crash. Triumph will notify owners, and dealers will update and install new ECU hardware and software, free of charge. The recall is expected to begin in early February 2014. Customers may contact Triumph at 1-678-854-2010. 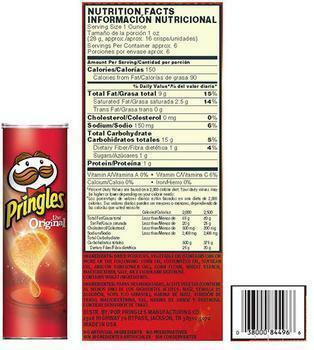 Pringles is recalling a small quantity of 5.68‐ounce cans of Original crisps. The crisps may have been exposed to seasoning containing milk, an allergen not listed as an ingredient on the label. Approximately 75 cans may have been affected, but the company is recalling one hour’s worth of production as a precaution. The recalled product is marked on the bottom of the can with a UPC code of 38000 84496 and best by date of 12/26/2014, with the manufacturing code L 3269KT70 that ends with four numbers ranging from 0830 to 0930. Consumers with questions may contact the Consumer Response Center by calling at 1-800-568-4035 from Monday – Friday, from 8 a.m. to 6 p.m., EST. Reebok-CCM Hockey of Montpelier, Vt., is recalling about 3,700 EP20K Senior (SR) Hockey elbow pads in the U.S. and Canada. The molded foam padding inside the elbow pads can become cracked, fractured or split, which poses a risk of injury to the elbow. The company reports one incident in Canada which resulted in a broken elbow. 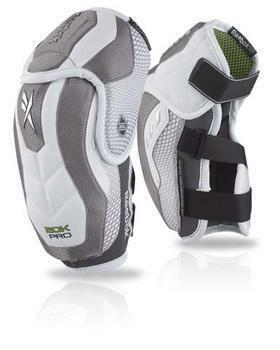 This recall involves the Reebok EP20K Senior (SR) Hockey elbow pads with, all-foam elbow caps. The pads are white with grey and black colored fabric. The word Reebok appears on the upper and lower arm sections of each elbow pad, and the words 20K PRO appears on the forearm of each pad. There are three Velcro brand closure bands on each elbow pad. The product code K101SR EP20K is located on the inside label of each elbow pad and on the outside of the polybag in which some products were packaged. The elbow pad comes in S, M, L and XL. Consumers should immediately stop using the recalled elbow pads and return the product to place of purchase for a full refund or replacement, or return the product directly to Reebok- CCM Hockey Inc. for a replacement. Consumers may contact CCM Hockey, Inc. at (800) 451-4600 in the U.S. from 9 a.m. to 5 p.m. ET., Monday through Friday, or by email at returns@reebokccm.com. Bodum Portuguesa is recalling about 28,000 Bodum rose gold glass coffee presses. The glass carafe can fall out of the metal frame and plastic base of the coffee press and break or shatter, posing laceration and burn hazards to consumers. The company has received about 14 reports of the glass carafes breaking or shattering when the coffee press’ plastic base separated from the metal frame. There have been four reports of minor injuries -- two lacerations and two burns. This recall involves Bodum rose gold Chambord locking lid 8-cup glass coffee presses. 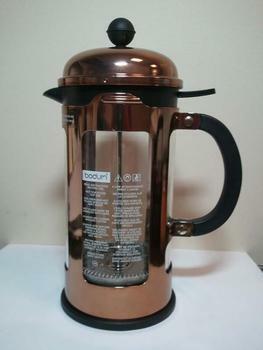 The coffee press’ glass carafe, screen and plunger are held in place by a metal frame which is rose gold-colored with a black molded plastic base. Consumers put ground coffee and hot water in the glass carafe and push the plunger and screen down through the water to brew coffee. The coffee presses are 10 inches high by about 4 inches in diameter, and have locking lids. Bodum is printed on the glass carafe, and Bodum and SKU number 11029732 are printed on a white label on the bottom of the base. Bodum and Made in Portugal are embossed on the bottom of the black plastic base. The coffee presses, manufactured in Portugal, were sold exclusively at Starbucks nationwide and online at starbucks.com from November 2013, through December 2013, for about $40. Consumers should stop using the recalled coffee presses immediately and return them to the Starbucks store where purchased or contact Bodum for a full refund. Consumers who purchased the coffee presses online should contact Bodum for a pre-paid return label to return the coffee presses to receive a full refund. Consumers may contact Bodum toll-free at (855) 378-6864 from 10 a.m. to 5 p.m. ET Monday through Friday, or by email at recall@bodum.com. Horizon Hobby of Champaign, Ill., is recalling about 2,000 Blade 500 X BNF, Blade 500 3D RTF and BNF Remote Controlled Model Helicopters. The grip used for securing the tail rotor blade can separate and release from the helicopter, posing a risk of a crash and injury hazard. The recall involves Blade 500 X BNF, Blade 500 3D BNF and RTF Remote Controlled Model Helicopters with model numbers BLH 1800, BLH 1800M1, BLH 1850, and BLH 4080. The helicopters are about 33.5 inches long and 11.8 inches tall and weigh about 4 lbs. The canopy of the 500 X has the “500 X” logo on each side. The canopy of the 500 3D has the “500 3D” logo on each side. The tail rotor grip for each model is a black plastic holder that holds the tail rotor blades of the helicopter in place. The grips are approximately 1 ¼ inches tall and ½ inch wide. The helicopters, manufactured in China. Were sold at hobby stores nationwide and at www.horizonhobby.com. Models BLH 1800, BLH 1800M1 and BLH 1850 were sold from December 2012, through September 2013; and Models BLH 1850 and BLH 4080 were sold from May 2013, through September 2013. Prices range from $600 to $900. Consumers should immediately stop using the recalled radio-controlled helicopters and contact Horizon Hobby for a replacement tail grip and instructions for installation. Consumers may contact Horizon Hobby toll-free at (877) 504-0233 from 8 a.m. to 7 p.m. CT Monday through Friday, 8 a.m. to 5 p.m. CT Saturday, and noon to 5 p.m. CT Sunday. Winn-Dixie is recalling 30-oz. 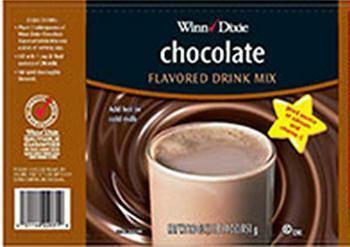 canisters of Winn-Dixie Instant Chocolate Drink Mix, with expiration date code of JUL 14 15B, from shelves in all stores throughout Florida. The product may contain an incorrect formula mixture, which could result in an undeclared milk allergen. The company has received no reports of any issues associated with consumption at this time. The recall pertains only to canisters with the expiration date code of JUL 14 15B and a product UPC code of 2114022031, and does not affect stores in Alabama, Georgia, Louisiana or Mississippi. Consumers who have an allergy or severe sensitivity to milk products are urged not to consume and return products to the store for a full refund. To receive the refund, customers may present proof of purchase through a receipt or the product-packaging label. Customers with questions may contact the Winn-Dixie Customer Call Center toll free at 866-946-6349, Mon. - Fri., 8 a.m. - 6 p.m. EDT, and Sat., 8 a.m. - 4 p.m. EDT. Ergotron Inc., of Eagan, Minn., is recalling about 216,000 interactive wall mounts. The weld between the “VESA” style mounting plate and the mounting ring can fail, allowing the monitor or TV to fall. This poses a risk of injury to bystanders. The company has received three reports of the monitor plate separating from the wall mount system. Resulting in property damage to components of the wall mount unit. No injuries have been reported. The adjustable Ergotron interactive wall mount is designed for flat panel displays and TVs which allows users to reposition their display angles. The wall mounts consist of three parts including a wall mount plate for securing the system to the wall; an extendible arm that allows the user to adjust the position of the television in multiple directions and a monitor plate for securing the arm to the TV. The model number and date codes are printed on the underside of the arms of the PLAY and ITV models. The date code label for the OM80FM, OBFM120 and OBFM60 models is printed on the front surface of the wall mount bracket. The wall mounts, manufactured in China, were sold at AAFES, h.h.Gregg, Sam’s Club, Walmart and independent retailers nationwide specializing in electronic supplies and online at Amazon.com from February 2012, to January 2013, for between $50 and $400. Consumers should immediately remove the TV/monitor from the mount and contact Ergotron for a free repair kit. Consumers may contact Ergotron at (800) 888-5458 from 8 a.m. to 7 p.m. CT Monday through Friday. Suunto Oy, of Finland is recalling about 1,300 SCUBA high-pressure air hoses. The high pressure air hose may leak or rupture leading to a loss of breathing gas posing a drowning hazard. 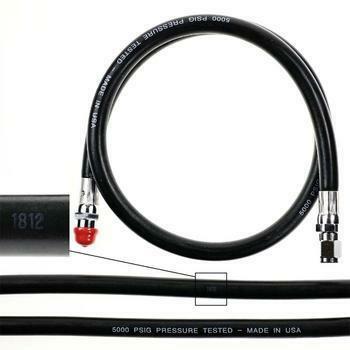 The recalled black rubber high pressure air hose is used with submersible pressure gauges and dive computers. The hose has silver fittings on both ends and “5000 PSIG PRESSURE TESTED – MADE IN THE U.S.A,” the batch code “1812” and the product code are printed on it. The hoses were sold separately and as a component of the Cobra, Cobra 3, SM-36 model pressure gauge and gauge combos, and with the Vyper and Zoop model dive computers or analog pressure gauges when purchased as combos. The hoses, manufactured in Finland and the U.S., were sold at authorized Suunto Dive dealers nationwide from November 2012, to July 2013, for $95 to $195 if sold with Suunto analog pressure gauge for diving; from $400 to $900 if sold as part of a Suunto dive computer system; and $85 if sold separately. Consumers may contact Suunto support toll-free at (855) 258-0900 anytime, or by email at support@suunto.com. Spectrum Brands of Middleton, Wis., is recalling about 232,000 Rayovac flashligh ts in the U.S. and Canada. The flashlight can cause the batteries to overheat and melt the flashlight’s plastic casing, posing a burn hazard. The company has received reports of 12 flashlights overheating and melting during use. No injuries or property damage have been reported. This recall involves Rayovac LED Industrial flashlights (model ILED2AA) with run times of 25 or 50 hours, Rayovac Value Bright LED plastic flashlights (model BRSELED2AA-BA), and Rayovac Value Bright flashlights (model BRSELED2AA-BDGDI). The flashlights use two AA batteries. They measure about 6 ½ inches long and the flashlight head is about 1 1/3 inches in diameter. They were sold in the following colors: solid red, blue, green or black with yellow. Rayovac is printed on the head of the flashlight. The following date codes are included in the recall: E/J-C, H/F-C, I/F-C, L/F-C, M/W-C, O/F-C, R/F-C, R/J-C, S/J-C, T/F-C, U/F-C and Y/J-C. The date code is printed on a white sticker inside the flashlight’s tube. The flashlights, manufactured in Indonesia, were sold at electronics, grocery, drug, hardware, home improvement and auto parts stores, farm and ranch product outlets, military surplus outlets and farm cooperatives and other stores nationwide and online at www.rayovac.com and other websites from February 2012 ,through December 2013, for about $2.30. Consumers may contact Spectrum Brands toll-free at (855) 752-6660 from 8:30 a.m. to 5 p.m. ET Monday through Friday. 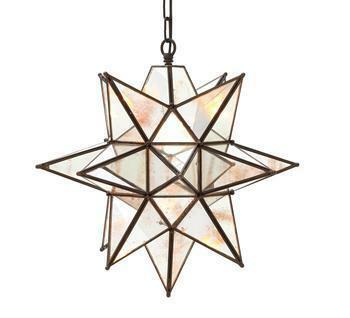 Pottery Barn of San Francisco, Calif., is recalling about 1,100 oversized Morovian Star Pendant chandeliers. The joints can fail to support the weight of the pendant causing it to fall, posing the risk of injury. The company has received three reports of the pendant chandelier’s mirrored glass detaching from the metal fixtures and falling. No injuries were reported. This recall involves the oversized 26-point Morovian Star Pendant chandeliers made of antiqued mirrored glass and metal. The pendants are 19 inches in diameter with a 6-inch chain. The star-shaped pendants can be hardwired to a ceiling’s outlet and contain a circular, black ceiling connection cover with a chain to the pendant. The pendants come in two styles or SKUs depending on whether they require a compact florescent bulb or non-compact florescent bulb. Both styles look identical. The chandeliers, manufactured in China, were sold exclusively at Pottery Barn stores nationwide, online at potterybarn.com and through the Pottery Barn Catalog nationwide from September 2013, through December 2013, from $240 to $300. Consumers should immediately clear the area under the pendant chandeliers and have them removed. Contact the firm for instructions for returning them at no cost and for receiving a full refund. Pottery Barn is contacting customers directly. Consumers may contact Pottery Barn toll-free at (855) 849-2202 between 7 a.m. and midnight ET daily. The products may contain traces of allergens not listed on the label. The products may contain traces of allergens, including wheat, tree nuts, soy and milk protein, not declared on the label. 1575 West Grand Pkwy S., Katy TX 77494. Consumers who purchased any of the recalled products through the Internet or who have questions may contact the company at 281-395-1050 from 9:00 a.m. – 5:00 p.m. CST Monday-Friday. Johnson Health Tech North America of Cottage Grove, Wis., is recalling about 2,800 Ascent Trainers by Matrix and Matrix Fitness Ellipticals. The company reports 44 incidents of sparking, smoking, charring and/or melting at the power cord and socket. There was one report of the power socket and cord catching fire. No injuries have been reported. This recall involves all Matrix Fitness Ascent Trainers and Elliptical trainers installed from November 2011 through December 2012. All Ascent Trainers and Ellipticals have a swing-arm handle design, with pedals that rotate in an elliptical path. Units also have stationary handlebars. 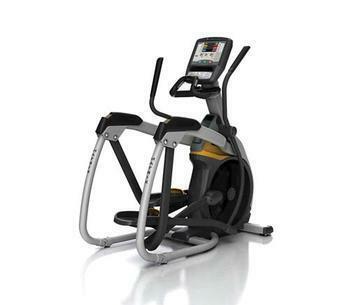 The Ascent Trainers are similar to the Elliptical machines, but include an incline function. Users operate the machines in a standing position. The Ellipticals are black and silver-colored. The Ascent Trainers are also black and silver-colored with an orange accent color on the machine’s body and foot pedals. “Matrix” is printed on the machines body and handlebars. When assembled, the machines are about 70" high x 29" wide and 68” long. The machines involved in this recall have a decal at the center/bottom of the units with model numbers beginning with A3x, A5x, A7x, E3x, E5x or E7x. The machines, manufactured in Taiwan, were sold at Johnson Health Tech North America to dealers, commercial fitness facilities such as health clubs and military facilities nationwide, from November 2011, through December 2012, for about $6,000 to $11,000, depending on console installed. Exercise facilities should immediately unplug the machines and contact Johnson Health Tech North America to schedule a free repair. Units are self-powered and can be used without being plugged into an electrical outlet. Consumers may contact Johnson Health Tech North America toll-free at (866) 218-3674 from 8 a.m. to 5 p.m. CT Monday through Friday. Kinnikinnick Foods of Edmonton, Alberta, Canada, is expanding previous recalls of foods that may contain milk, an allergen not listed on the label. All lots produced up to and including the Best Before dates indicated below which contained the ingredient are being recalled. Best before dates are embossed on the top flap of the box, applied with an ink jet printer on the side or as an applied label to the bottom of the box. The products are distributed across Canada and the United States in retail stores and through direct shipments. 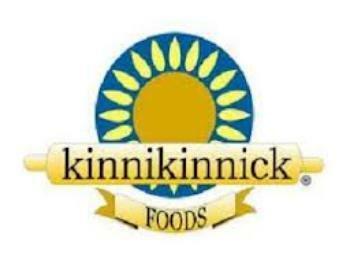 Consumers can contact Kinnikinnick Foods by calling 780-424-2900 or by emailing info@kinnikinnick.com. 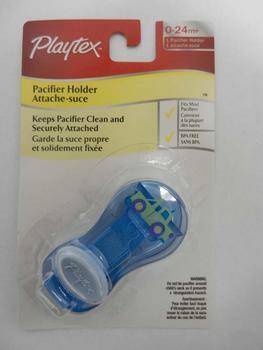 Playtex Products of Dover, Del., is recalling about 1.75 million Playtex pacifier holder clips in the U.S. and Canada. The company has received 99 reports of the holder cracking or breaking. No injuries have been reported. The pacifier holder clips, manufactured in China, were sold at Walmart, Target, Burlington Coat Factory other major retailers, juvenile product, baby and discount stores nationwide and online at Amazon.com, among others, from July 2010, through October 2013, for about $3. Consumers may contact Playtex toll-free at (888) 220-2075 from 8 a.m. to 6 p.m. ET Monday through Friday for more information. Tandem Diabetes Care is expanding a voluntary recall of specific lots of insulin cartridges that are used with the t:slim Insulin Pump. The affected cartridges may be at risk for leaking, which could result in the device delivering too much or too little insulin, leading to a serious adverse event. Customers should discontinue using cartridges labeled with any of the lot numbers listed below. The affected lots shipped to customers or distributors represent an aggregate of approximately 13,000 boxes of cartridges (10 cartridges per box). The affected lots announced on January 10, 2014 were shipped from December 17, 2013 to January 10, 2014. The affected lots announced on January 20, 2014 were shipped prior to October 16, 2013. 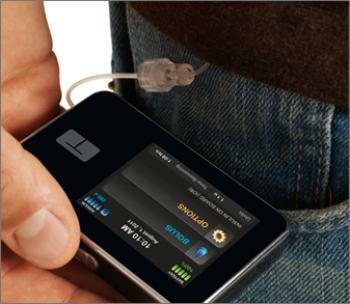 Other cartridge lots shipped to customers or distributors and the t:slim Insulin Pump are not affected by this recall. Customer support is available 24 hours a day, 7 days a week at 1-877-801-6901. The candy contains peanuts, an allergen not declared on the label. This affects all product with a sell by date of June 1st 2014 or before. 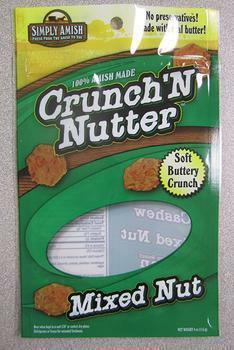 The product comes in 4oz bags labeled Crunch’N Nutter Mixed Nut with the UPC#861522000042 and a sell-by date of June 1, 2014, or earlier. It was shipped to distributors in Wisconsin and New Jersey. Consumers with questions may contact the company at 1-608-429-4838 Mon-Fri 8am to 5pm CST. Rise’n Roll Bakery of Middlebury, Ind., is recalling all its donut varieties and cinnamon caramel donut holes because they may contain egg. Rise’n Roll Specialties Nutty Crunch in 8-oz pouches is also being recalled because it contains peanuts. Neither of the allergens is declared on the product labels. The donut and donut holes products containing undeclared egg are packaged in brown boxes and labeled with the name Rise’n Roll Bakery and Deli. The donuts are packaged in 6 and 12 count boxes with UPC 626570617440 & 626570617457 respectively while the cinnamon caramel donut holes are packaged in 1.05# boxes with UPC 626570617433. These products were produced on or before Jan. 13th, 2014, and were sold in the company's retail store and distributed to retail stores in Northern Indiana. The Rise’n Roll Specialties Nutty Crunch containing undeclared peanuts was packaged in 8-oz. pouches with UPC 827912041583. The product was sold in the company's retail store and distributed to retail stores in Pennsylvania, Illinois, Kansas, Michigan, Ohio, Wisconsin, Indiana, Minnesota, Missouri and Virginia. They were also sold to a distributor in Pennsylvania. 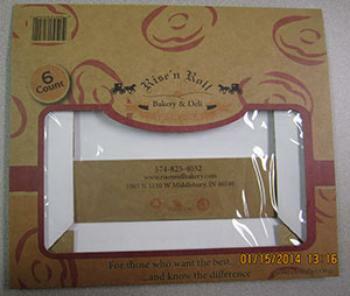 Customers may have also purchased this product on Rise’n Roll Bakery's website www.risenrollbakery.com The recalled product has a sell-by date of June 13th, 2014, or earlier. The company says its Rise’n Roll Specialties Nutty Crunch will no longer be produced with peanuts. All future donut production will be labeled to declare egg. Consumers with questions may contact the company at 1-574-825-4032 Mon-Fri 8am to 4pm EST. 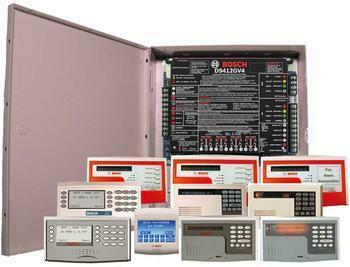 Bosch Security Systems of Fairport, N.Y., is recalling about 2,000 Bosch GV4 Fire Alarm Control Panels. The notification appliance circuit module can cause the panels to fail to activate an audible or visual alarm in the event of a fire. The recall involves G-series Fire Alarm Control Panels that are professionally installed and have model numbers that end in GV4 and use D192G Notification Appliance Circuit (NAC) modules. The NAC module monitors the circuit connections and signals when alarms are not operational. The Bosch name, logo and model number D9412GV4, D7412GV4 or D7212GV4 are on the board of recalled GV4 fire alarm control panels. The control panels and modules are used in residences and commercial facilities and can be mounted inside a variety of enclosures with a minimum size of 16 inches x 16 inches x 3.5 inches, which may or may not be labeled with the Bosch name or logo. The control panels, manufactured in China, were sold through authorized distributors and certified professional installers nationwide from January 2012, to December 2012, for about $90. Consumers who have a recalled GV4 control panel with a D192G NAC module should contact Bosch or their certified professional installer for a free repair. Bosch has contacted their distributors and installers and sent installers a service bulletin telling them how to correct the problem. Consumers may contact Bosch at (800) 289-0096, from 9 a.m. to 8 p.m. ET Monday and 8 a.m. to 8 p.m. ET Tuesday through Friday. The shoulder snaps on the jersey can detach, posing laceration and choking hazards. The infant home kit consists of a white jersey and navy blue shorts and socks in sizes 0, 6 months, 12 months and 18 months. The jersey has style #1238534 printed on a side seam label. The jerseys are white with navy blue trim and navy blue UA and Tottenham Hotspur logos. 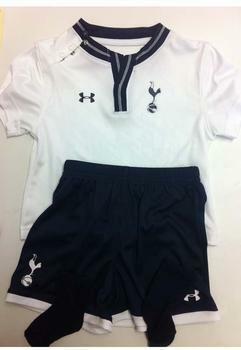 The navy blue shorts have white trim and white UA and Tottenham Hotspur logos. The socks are navy blue. The kits, manufactured in the Philippines, were sold at Pegasus Sporting Goods and Upper 90 Soccer + Sport between August and December 2013 for about $50. Consumers should immediately take the recalled home kits away from children and return them to the retailer where purchased or contact Under Armour for a full refund. Consumers may contact Under Armour toll-free at (888) 823-0343 from 8 a.m. through 6 p.m. ET Monday through Friday. 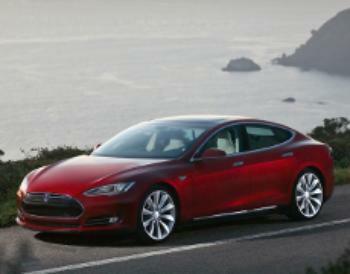 Tesla Motors is recalling 29,222 model year 2013 Model S vehicles equipped for, and delivered with, certain NEMA 14-50 (240 volt) Universal Mobile Connector (UMC) adapters. During charging, the adapter, cord, or wall outlet could overheat. An overheated adapter, cord, or wall outlet increases the risk of burn injury and/or fire. Tesla will notify owners and provide an "over-the-air" software update. Some owners have already received this update. This update allows the Model S on board charging system to detect any unexpected fluctuations in the input power or higher resistance connections to the vehicle. If detected, the onboard charging system will automatically reduce the charging current by 25%. Tesla owners can verify that they have received the updated software (version 5.8.4 or later) by viewing the vehicle's center information screen. Additionally, Tesla will mail owners a replacement NEMA 14-50 adapter that is equipped with an internal thermal fuse. The manufacturer has not yet provided a notification schedule. Owners may contact the Tesla Service Center at 1-877-79-TESLA (1-877-798-3752). RSI Home Products of Anaheim, Calif., is recalling about 14,000 bathroom medicine cabinets. The company has received two reports of the cabinet’s mirror or back panel detaching and falling out. No injuries have been reported. This recall involves four models of Glacier Bay-branded bathroom medicine cabinets, manufactured between July 15, 2013, and October 10, 2013. They have a mirrored door, two adjustable and two fixed interior shelves. Some models have exterior display side shelves. They were sold in 21, 23 and 30-inch widths and in three finishes: cognac, java and white. ”VOC” and the manufacture date are stamped on the exterior of the cabinet’s back panel. The models below are included in this recall. The model and SKU number appear on the product’s box. Consumers may contact RSI toll-free at (888) 774-8062 from 9 a.m. to 7 p.m. ET Monday through Friday, or by e-mail at RSIMedCab@rsihomeproducts.com. 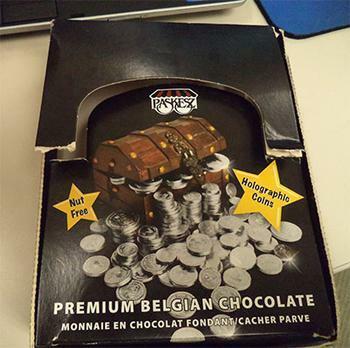 Paskesz Candy Company of Brooklyn, N.Y., is recalling its Premium Belgian Chocolate Coins Hologram .5 oz bags. To date one parent has reported that her child became ill after eating one of these coins with the production code P233. Subsequent testing of a sample showed that the coin contained .000041 parts of milk (41 parts per million). The recalled "Coins" were distributed nationwide in retail stores between October 2012, and December 2013. The product is sold in mesh bags of .5 oz. There are 24 bags in a box. This does not affect the product’s “KOSHER PAREVE” status. Consumers who have purchased these .5 ounce packages of "Paskesz Chocolate Pareve Hologram Coins” are urged to return them to the place of purchase for a full refund. Consumers with questions may contact the company at 1-800-PASKES0 between 9AM and 4PM Monday through Thursday and on Friday until 12 pm EST. 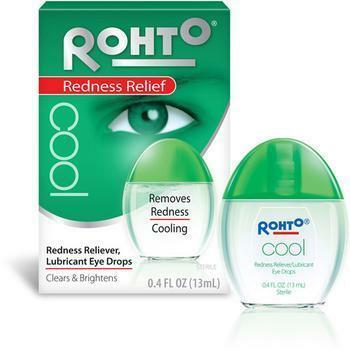 The Mentholatum Company is recalling Rohto Arctic, Rohto Ice, Rohto Hydra, Rohto Relief and Rohto Cool eye drops. The recall was initiated due to a manufacturing review at the production facility in Vietnam involving sterility controls. To date, there has been no evidence indicating that product does not meet specifications. The products are sold nationwide over-the-counter at pharmacies and retail stores. This recall includes only lots of product that were manufactured in Vietnam. This recall affects Rohto Arctic, Rohto Ice, Rohto Hydra, Rohto Relief and Rohto Cool eye drops that were made in Vietnam only, which can be identified by the words "Made in Vietnam" on the side carton panel under the company name and address information, as well as on the back label of the bottle. The lot numbers for products made in Vietnam will include the letter "V," for example, "Lot 3E1V," and will be located on the bottom panel of the carton, and on the bottom of the eye drop bottle. The Mentholatum Company is notifying its distributors and retailers by letter to stop distribution and follow instructions in the recall letter. Consumers that have recalled product should contact the company for instructions. Questions about this recall may be directed to The Mentholatum Company Customer Service Department at 1-877-636-2677 Monday – Friday 9 AM to 5 PM (EST). 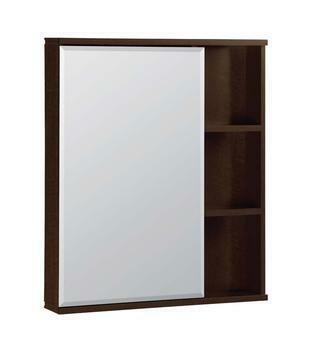 RSI is recalling Glacier Bay bathroom medicine cabinets sold at The Home Depot. The mirror or its back panel can separate and fall out, posing an injury hazard to consumers. RSI has received two reports of the cabinet’s mirror or back panel detaching and falling out. No injuries have been reported. Consumers may contact RSI toll-free at (888) 774-8062 from 9 a.m. to 7 p.m. ET Monday through Friday, online at www.homedepot.com and click on Product Recalls or e-mail RSIMedCab@rsihomeproducts.com for more information. This recall involves four models of Glacier Bay-branded bathroom medicine cabinets, manufactured between July 15, 2013 and October 10, 2013. They have a mirrored door, two adjustable and two fixed interior shelves. Some models have exterior display side shelves. They were sold in 21, 23 and 30-inch widths and in three finishes: cognac, java and white. ”VOC” and the manufacture date are stamped on the exterior of the cabinet’s back panel. 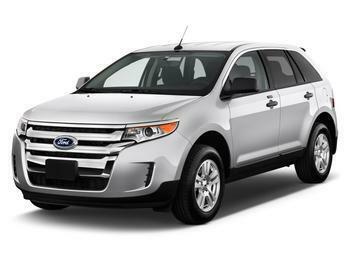 Ford is recalling about 27,000 Edge crossovers from the 2012-2013 model years because of a fire risk related to damper in the fuel line. The recall only affects vehicles powered by the 2.0-liter EcoBoost I-4 engine. The company said the affected vehicles may have a fuel line pulse damper metal housing that wasn’t installed properly. The housing could crack, resulting in a leakage of odor or fuel, which could cause a fire. Ford dealers will replace the fuel line free of charge when the recall begins next month. Glass Onion Catering, a Richmond, Calif. establishment, is recalling approximately 181,620 pounds of ready-to-eat salads and sandwich wrap products with fully-cooked chicken and ham that may be contaminated with E. coli O157:H7, the U.S. Department of Agriculture’s Food Safety and Inspection Service (FSIS) announced today. The products were produced between Sept. 23 and Nov. 6, 2013 and shipped to distribution centers intended for retail sale in Arizona, California, Nevada, New Mexico, Oregon, Texas, Utah and Washington. 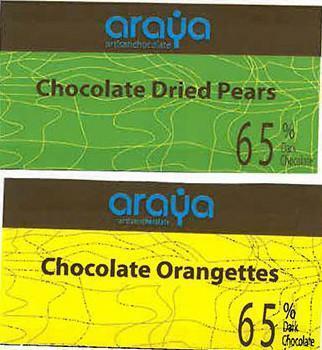 When available, the retail distribution list(s) will be posted on the FSIS website at www.fsis.usda.gov/recalls. FSIS began monitoring a cluster of E. coli O157:H7 illnesses on Oct. 29, 2013 then was notified by FDA on Nov. 6, 2013 that California authorities had reported case-patients consuming pre-packaged salads with grilled chicken. Working in conjunction with the Centers for Disease Control and Prevention (CDC), FDA, the California Department of Public Health, the Washington State Department of Health, and the Arizona Department of Health Services, FSIS has determined that there is a link between the grilled chicken salads and the illness cluster. Twenty-six case-patients have been identified in three states with indistinguishable E. coli O157:H7 PFGE (genetic fingerprint) patterns with illness onset dates ranging from Sept 29, 2013 to Oct. 26, 2013. Based on epidemiological information, 15 case-patients reported consumption of ready-to-eat pre-packaged salads prior to illness onset. 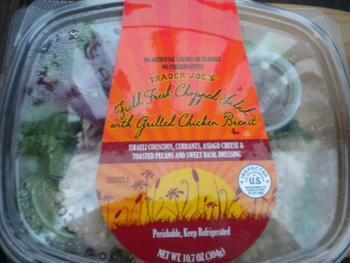 A traceback investigation determined Glass Onion Catering was the supplier of the products implicated in the outbreak. 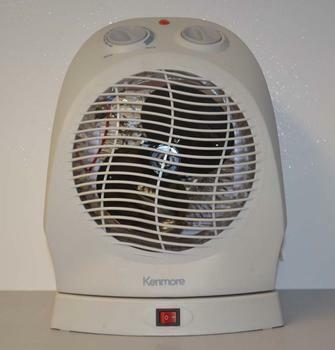 Sears and Kenmore are recalling 42,500 oscillating fan heaters. Broken motor mounts can cause the units to overheat, catch fire and ignite nearby items, posing a fire and burn hazard to consumers. The fans were sold at Sears and Kmart stores nationwide from September 2013 through November 2013 for between $35 and $40. Consumers may contact Sears/Kmart toll-free at (888) 820-3341 from 7 a.m. to 9 p.m. CT Monday through Friday, and 7 a.m. to 6 p.m. CT on Saturday, or visit the firms’ websites atwww.sears.com and www.kmart.com click on Product Recall for more information. 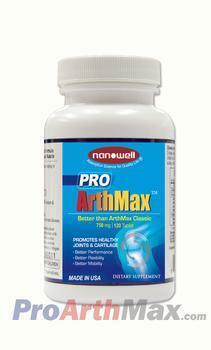 Human Science Foundation is recalling all lots of Pro ArthMax 120 count bottle, labeled and sold as a dietary supplement to the consumer level. The product has been found to contain undeclared active pharmaceutical ingredients (APIs), making it an unapproved new drug. FDA sample analysis tested the product to contain the following APIs: 2.4mg of Chlorzoxazone, 0.78mg of Nefopam, 2.5mg of Diclofenac, 7.7mg of Ibuprofen, 2.1mg of Naproxen, and 1.9mg of Indomethacin. Use of this product containing the undeclared drug ingredients listed above, has a reasonable probability of resulting in fatal adverse events in consumers and patients with underlying illnesses, including known allergy to the hidden ingredients, cardiac, gastrointestinal, hepatic, and renal conditions as well as patients who recently undergone cardiac bypass graft surgery. Consumers would be unaware that the product contains Non-Steroidal Anti-Inflammatory Drugs (NSAIDs) (and other ingredients), may inadvertently overdose by taking another NSAID concurrently, thus increasing the risk for NSAID associated adverse events, which include but are not limited to, myocardial infarction, stroke, congestive heart failure, renal toxicity, and bleeding, ulceration, or perforation of the stomach or intestines. The product is marketed as a dietary supplement for joint pain and arthritis and is packaged in 120-count tablets per bottle, in a white plastic screw top bottle. Product was distributed to direct consignees in the state of California then further distributed nationwide to retail stores and via internet sales. Company is notifying its distributors and customers by telephone and e-mail and is arranging for return for credit of all recalled products. Consumers/distributors/retailers that have product which is being recalled should stop using and return to place of purchase for credit. Consumers with questions regarding this recall can contact Human Science Foundation by email to hsf@hs-foundation.com from Monday through Friday, 10 AM and 4 PM, PST. Consumers should contact their physician or healthcare provider if they have experienced any problems that may be related to taking or using this drug product. Three more retailers (Home at Five, Montgomery Ward and Seventh Avenue) have added their names to the 8 that took the unusual step in mid-December of recalling about 8,900 flat screen TVs made by a company that has gone out of business. 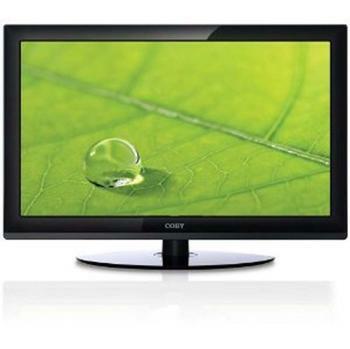 An electronic component in the Coby 32-inch flat screen televisions can fail, catch fire and ignite nearby items, posing fire and burn hazards. Six incidents have been reported involving the televisions overheating, smoking or catching fire. One involved a TV catching on fire and scorching a wall. Another involved a fire that was limited to the television. No injuries have been reported. This recall involves black Coby 32-inch flat screen TVs with model number TFTV3229 and serial numbers beginning with LG and that have M07 or M10 in the 9th, 10th and 11th position of the serial number. The model and serial numbers are printed on a label on the back of the televisions and Coby is printed on the front. The TVs, manufactured in China, were sold at the retailers listed below from August 2011, through November 2013, for between $170 and $260. Consumers should immediately turn off and unplug the recalled televisions and contact the participating retailer where their TV was purchased for instructions on the remedy available from that retailer, which could be a refund, store credit, gift card or replacement TV. Because Coby USA is out of business, the retailers are providing the remedy. The remedy and terms vary between the retailers. ABC Warehouse: Toll-free at (855) 510-0070. Fry’s Electronics: Toll-free at (877) 688-7678.
h.h. gregg: Toll-free at (888) 723-7385. Nebraska Furniture Mart: (800) 359-1200. P.C. Richard & Son: Toll-free at (866) 312-4493. Sears/Kmart: Toll-free at (888) 852-3571. Toys R Us: (800) 869-7787. 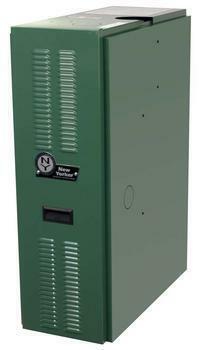 New Yorker Boiler Company of Hatfield, Pa., is recalling about 191 gas-fired hot water boilers. The air pressure switch can fail to shut down the burners when there is a blockage in the vent system, allowing the boiler to emit excessive amounts of carbon monoxide, posing a CO poisoning hazard to the consumer. This recall involves New Yorker Boiler PVCGA model cast iron hot water boilers that use natural gas or liquid petroleum to heat water for residential space heating. The boilers are green in color, about 38 inches tall and about 26 inches deep and range from 11 to 30 inches wide. The front cover of the boiler is vented and has the New Yorker Boiler logo. Recalled boilers were manufactured between May 2012, and February 2013. The model number, serial number and manufacturing date are located on a silver label on the inside panel. The manufacturing date appears in the upper right corner of the silver label in the MM/YYYY format. The boilers. Manufactured in the U.S., were sold at plumbing and heating wholesale distributors nationwide from July 2012, through Feb. 2013, for between $1,600 and $3,200. Consumers may contact New Yorker Boiler at (800) 535-4679 from 8 a.m. to 4:30 p.m. ET Monday through Friday. U.S. Boiler Company of Lancaster, Pa., is recalling about 26,310 gas-fired hot water boilers in the U.S. and Canada. This recall involves U.S. Boiler ESC, PVG and SCG model cast iron hot water boilers that use natural gas or liquid petroleum to heat water for residential space heating. The boilers are light blue in color with black trim, about 40 inches tall, about 26 inches deep and range from 12 to 31 inches wide. The model name and U.S. Boiler logo are on the front cover of the boiler. The front cover of the boiler is vented. 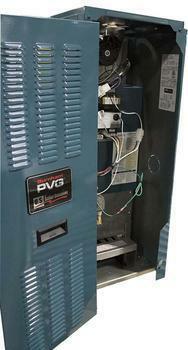 Recalled boilers were manufactured between December 2005, and February 2013. The model number, serial number and manufacturing date are located on a silver label on the top panel of ESC models and on the inside of PVG and SCG models on the right side panel. The manufacturing date appears in the upper right corner of the silver label in the MM/YYYY format. The boilers, manufactured in the U.S., were sold at plumbing and heating wholesale distributors nationwide from December 2005, through February 2013, for between $1,700 and $4,900. Consumers with recalled boilers should immediately contact the installer or distributor from whom they purchased the boiler, or U.S. Boiler, to schedule a free in-home safety inspection and repair. Consumers who continue use of the boilers while awaiting repair, should have a working carbon monoxide alarm installed outside of sleeping areas in the home. Consumers may contact U.S. Boiler toll-free at (888) 432-8887 from 8 a.m. to 4:30 p.m. ET Monday through Friday. 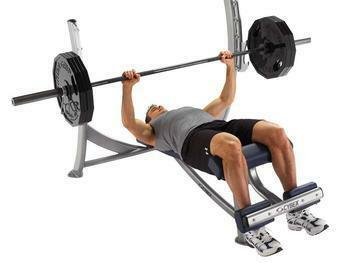 Cybex International of Medway, Mass., is recalling about 234 Olympic Decline free weight benches. The frame of the bench can collapse forward onto the user, posing fall and injury hazards. The firm has received nine reports of frames fatiguing near the weld point. No injuries are reported. The Decline model free weight benches are designed for use in professional gyms and come in three model numbers: 16060, 16061 and 16062. The Decline model free weight bench is a traditional Olympic bench which accommodates a 7’ wide Olympic bar, and the back pad declines from the knee to the shoulders at a 15 degree angle. The model numbers can be found on the bottom of the tube near where the feet are placed with serial numbers C1208 through H0913 which stand for the manufacture dates, December 2008, through September 2013. The benches, manufactured in the U.S., were sold by Cybex or its distributors directly to gyms from December 2008, through September 2013, for about $1,100. Consumers should stop using the benches immediately and contact Cybex to arrange for instructions for inspecting the frames for cracks or weakness and for installing the free repair. Consumer may contact Cybex International toll-free at (888) 678-3846 from 8 a.m. to 5 ET Monday through Friday. 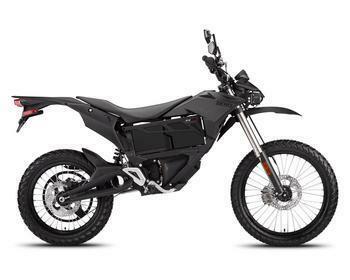 Zero Motorcycles is recalling 667 model year 2012-2013 XU, S, DS, and model year 2013 FX motorcycles. The affected motorcycles have controller firmware that, as a result of certain system faults, may shut off power to the motor, possibly increasing the risk of a crash. Zero will notify owners, and dealers will update the controller firmware, free of charge. The recall is expected to begin in mid-January 2014. Owners may contact Zero at 1-888-786-9376. L.M. 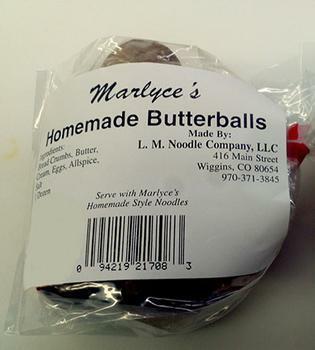 Noodle Company of Wiggins, Colo., is recalling its Marlyce's Butterballs. The Butterballs contain wheat flour, soy flour, whey and milk, allergens not declared on the label. The recalled butterballs were distributed in 2 Wyoming stores, 5 Nebraska stores and 5 Colorado stores. Butterballs are made up of bread crumbs, cream, butter, eggs, allspice and salt rolled in to a ball and cooked in soup. Twelve butterballs come frozen in a clear plastic bag with black lettering on a white label and the UPC 094219-21708. The product was, which was immediately relabeled in the warehouse as well as retail stores, now has the allergens listed in the lower left hand corner of the label. Consumers who have purchased butterballs with undeclared allergens on the label may to return them to the place of purchase for a full refund. Consumers with questions may contact the company at 970-371-3845 after 3:00pm Monday through Friday. Nipro Diagnostics of Fort Lauderdale, Fla., is recalling and replacing a limited number of TRUEbalance and TRUEtrack Blood Glucose Meters distributed both inside and outside the U.S. The company says certain isolated TRUEbalance and TRUEtrack Blood Glucose Meters have an incorrect factory-set unit of measure that displays the glucose result in mmoi/L rather than mg/dl. If a consumer were not to notice the incorrect unit of measure, it is possible that the meter result could be read as a lower than expected blood glucose result. Check to confirm if they have an affected TRUEbalance or TRUEtrack meter by obtaining the serial number from the serial number label on the back of the meter and visiting www.NiproDiagnostics.com/product-notice or by calling Stericycle toll-free at 1-866-236-4518. Call Stericycle to verify serial number and to expedite return and replacement of these affected TRUEbalance and TRUEtrack meters at no charge. Consumers may continue to test blood glucose using any other Nipro Diagnostics blood glucose meter not included in this recall while waiting for their replacement meter to arrive. Only use test strips that are intended for use with their blood glucose meter. 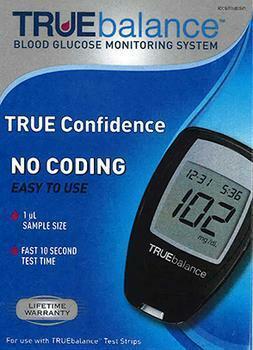 The company is sending notifications to pharmacies, durable medical equipment providers, mail order companies and distributors in the U.S. where the TRUEbalance and TRUEtrack meters are recommended or sold. Tonia’s Biscotti II of Homer, Alaska, is recalling Sampler Bags, Lemon Biscotti dipped in White Chocolate Bags, and individually wrapped biscotti of all flavors. The products may contain wheat, milk and soy, allergens not declared on the label. The products were distributed at retail stores, craft fairs, and through mail order (via www.toniasbiscotti.com) within the state of Alaska; the last dates of distribution were in December 2013. There was no wholesale or retail delivery of the affected products outside Alaska. The bagged products are in white packaging with a clear view window on the front. 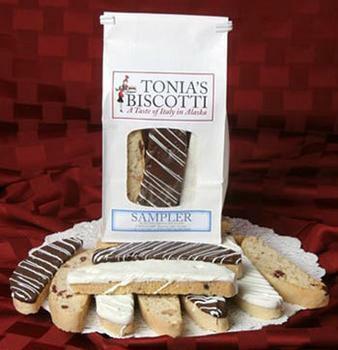 “Tonia’s Biscotti” is written across the top half and “Lemon dipped in White Chocolate” or “Sampler” is written on the bottom. The only bagged products affected by this recall are missing the “Nutritional Facts” panel; there are no expiration dates, best by dates, or lot codes on the products. The individually wrapped biscotti of all flavors have a single label on the front of the package with the name “Tonia’s Biscotti” and the flavor of the biscotti. Consumers who have an allergy or severe sensitivity to wheat, milk, and/or soy products are urged not to consume and return products to the place of purchase for a full refund. Consumers with questions may contact Tonia’s Biscotti at (907) 575-9274 from 9am to 5pm Monday-Friday, Alaska Standard Time. Jaguar Land Rover North America is recalling 3,912 model year 2013-2014 Range Rover vehicles. In the affected vehicles, the Supplemental Restraint System (SRS) connector located in the driver and front passenger side seat of the vehicle may become disconnected due to insufficient clearance. If that happens, the driver and/or passenger seat side air bag may not function, putting the seat occupant at an increased risk of injury. Land Rover will notify owners, and dealers will modify the area around the connector to prevent it from becoming disconnected, free of charge. The recall is expected to begin on January 17, 2014. Customers may contact Land Rover at 1-800-637-6837, Option 9. Land Rover's number for this recall is P037. 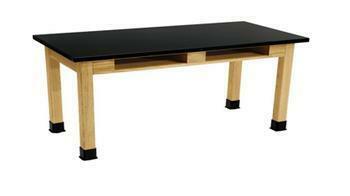 Norwood Furniture is recalling about 655 science tables. There have been eight reports of instability of the tables, three of which are reports of the legs splitting. There are no reported injuries. The tables, manufactured in China were sold exclusively online at www.schooloutfitters.com from June 2013, through September 2013, for about $190 to $220. Consumers may contact School Outfitters toll-free at (866) 619-1776 Monday through Friday from 8:00 a.m. to 8:00 p.m. ET. 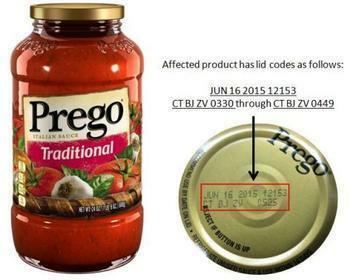 Campbell Soup Company is recalling approximately 300 cases of 24-ounce jars of Prego Traditional Italian sauce because of a risk of spoilage. No consumer illnesses have been reported to date in connection with this recall. The recalled product was made at the Campbell Soup Supply Company establishment in Paris, Texas and was shipped on December 21, 2013, to retailer distribution centers serving Arizona, Arkansas, Kansas, Missouri, Nebraska, New Mexico and Oklahoma. This recall is limited to the U.S.
Consumers who have purchased the product should not eat it, but return it to the store where it was purchased for a full refund. Consumers can also call Campbell at 866-270-9303 Monday through Friday, 9 a.m. to 7 p.m. EST for more information.